Watch out Werewolves! 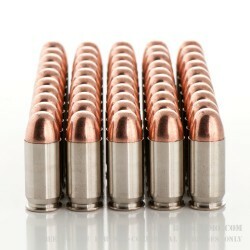 Well, ok- maybe these aren’t “Silver” bullets, but they’re nickel plated. Close enough! Besides, how many werewolves can tell the difference? 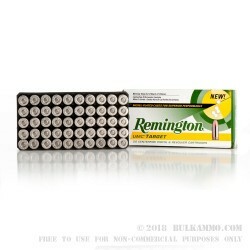 Seriously though- these Remington nickel-plated casings are typically only found for high-end defense ammo because they feed really smooth and cycle like a dream. 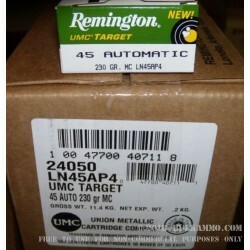 Remington has been able to manufacture these rounds for the economically minded consumer! They feature Kleanbore primers for a clean burn shot after shot. As I stated, they are indeed nickel-plated brass cased, boxer primed, non-corrosive and reloadable. 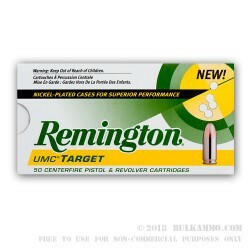 They are 230grain “MC” rounds, which stands for “Metal-Case” which is essentially the equivalent of the more popular phrase, FMJ or Full Metal Jacket. 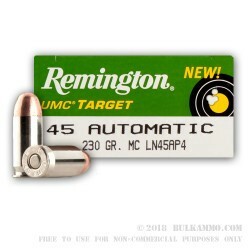 The .45 ACP round is a “man stopper,” as quoted by General John Thompson. This is indeed a powerful round. 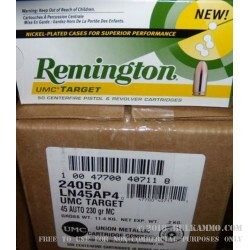 These particular rounds are 230 gr projectiles, which means that these are about the heaviest .45 rounds you’ll find. Why do you want heavy rounds? Well, they’ll give you the feel of shooting self-defense rounds without wasting the money at the range. And yes, there is a difference! 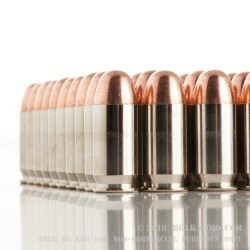 Depending on your caliber and your weapon, it can be quite a dramatic difference between range rounds, and self-defense rounds. Don’t be caught off guard. Always practice with your self-defense rounds so you can get a feel for your weapon before you really need it in an emergency. 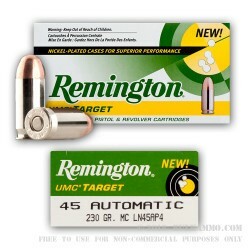 These bad boys are a little slower with a muzzle velocity of only 835 ft/sc, but they pack a punch with 365 ft/lbs. 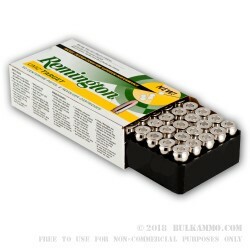 Get your self-defense practice in with these range rounds today!